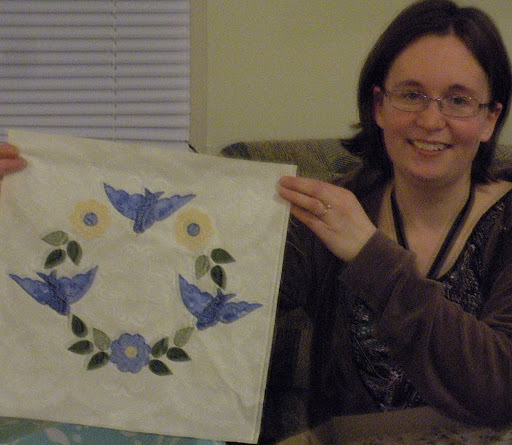 Teresa designed her own applique. Love the brights in combination with the black and white! And Veronica made a maverick star in all her favorite colors. Tricia couldn’t make it, for some reason, I just cannot fathom, she decided to flee ice covered Iowa to visit her parents in Phoenix. I’ll show her medallion another time. Some of these girls are very new quilters, but they have all produced great work and I know our quilts will all be wonderful! Have you ever participated in a round robin project? I’d love to hear about it! Lots of talent there… wow! Cute birds! That's a great idea. And I love Veronica's star! Great post! Thanks for taking pics at our meeting!! Love all of them, but the birds in the tree is so so cute! Shelly and I are doing around robin, I sprung it on her last week… She didn't know she was doing one til It popped up in her mailbox! Nice friend huh? Great stuff! and fun projects! 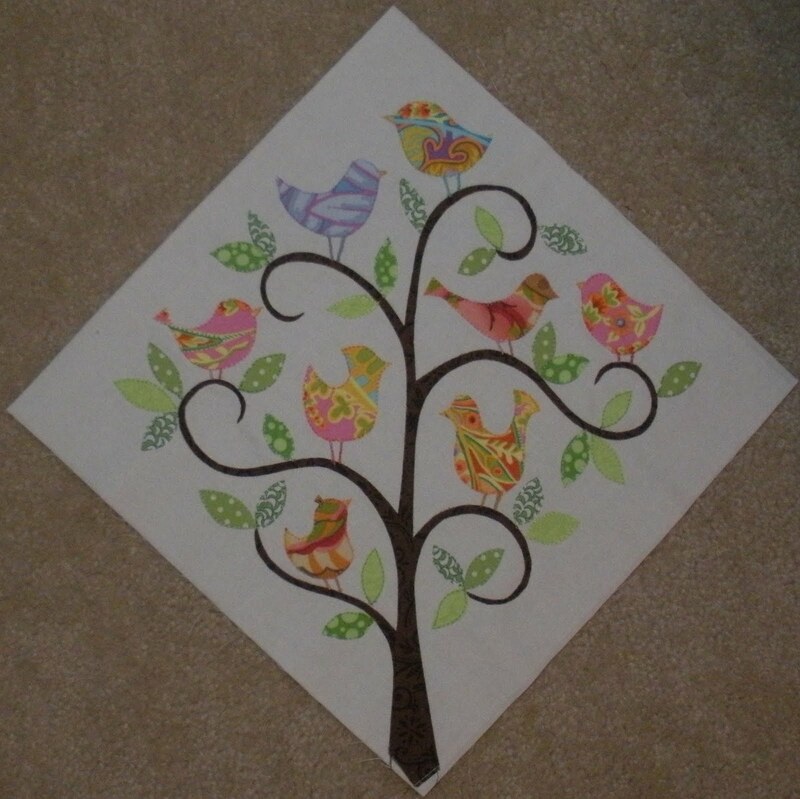 I love your birdie block — it's wonderful! I think all those quilts will come out great. I've done 2 round robins, one between just me and my best friend. I use that quilt on my bed in the winter (it's on there now). 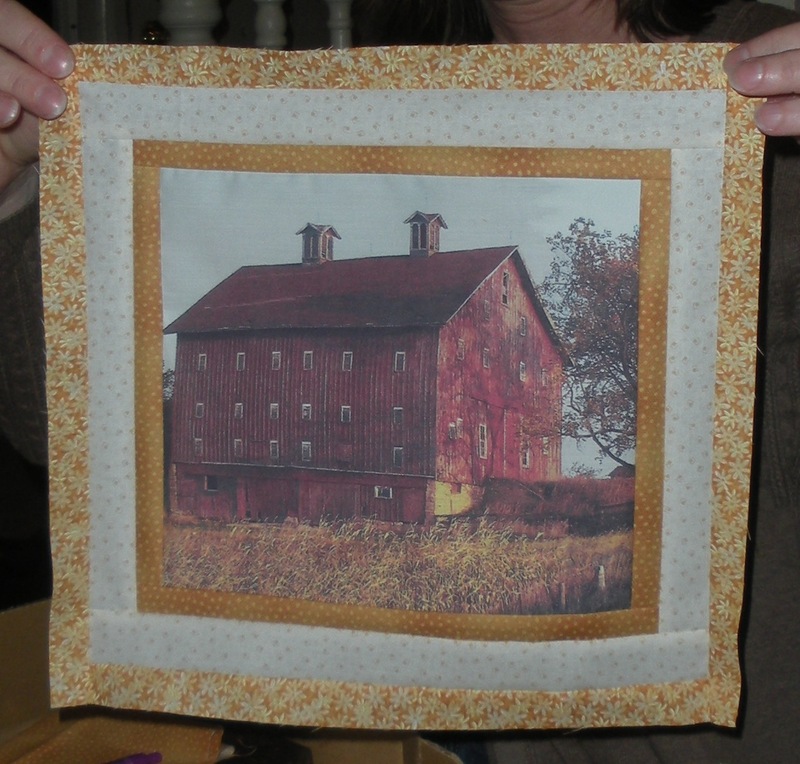 The other was among 5 fellow guild members, and it's in fall colors. I let My Cowboy use it in his recliner. They both turned out wonderful. Do not be afraid! 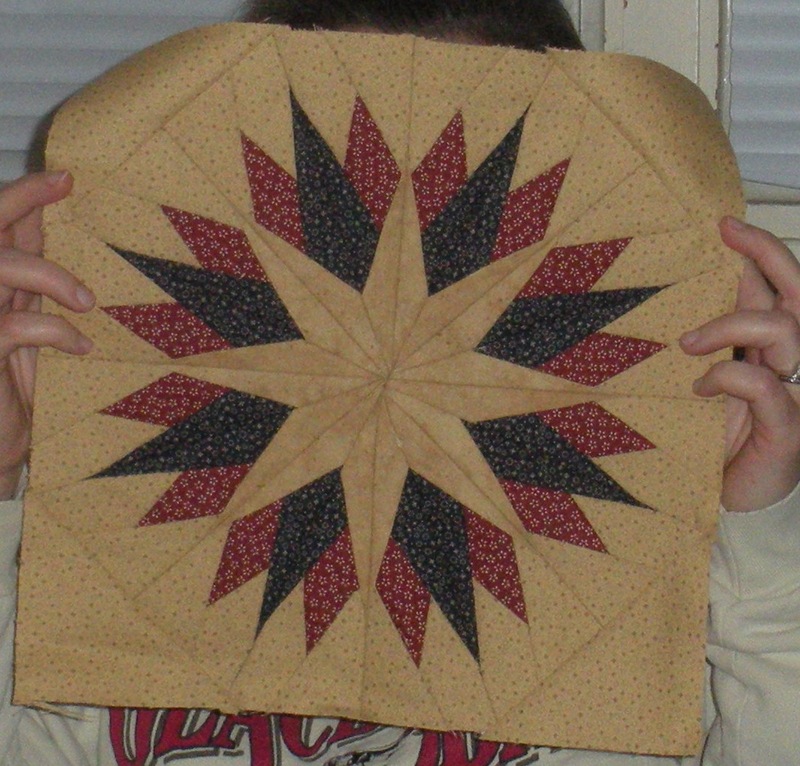 A group of us did a round robin quilt back in 1998! 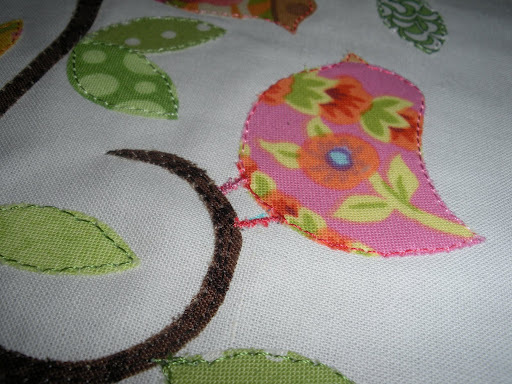 It was such fun to keep each others quilts a secret for a year. And the end revealing was even more fun. 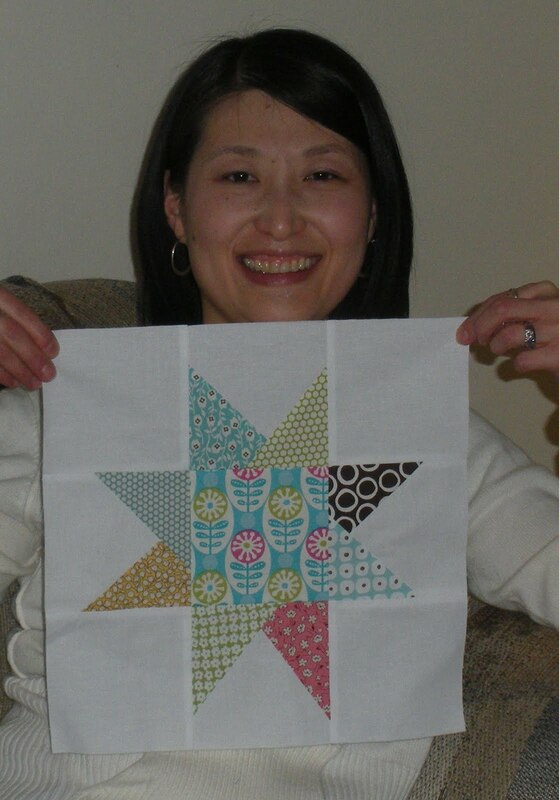 Each month we assigned a particular style: triangles, applique, curved piecing, anything goes, etc. 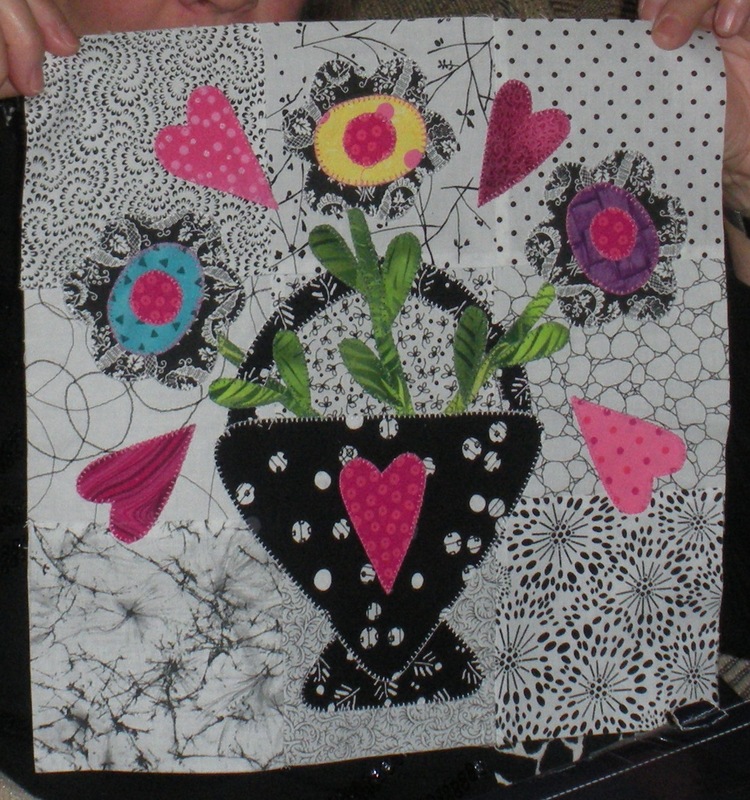 The biggest hurdle for all of us was learning how to calculate to determine how many of a block or motif was needed to go across a side in equal parts. Have a good time! You've got a fabulous start with those adorable birds. What a great variety of blocks. I was in my first and only round robin last year. We had 6 in each group, and our blocks were gone for 7 months. 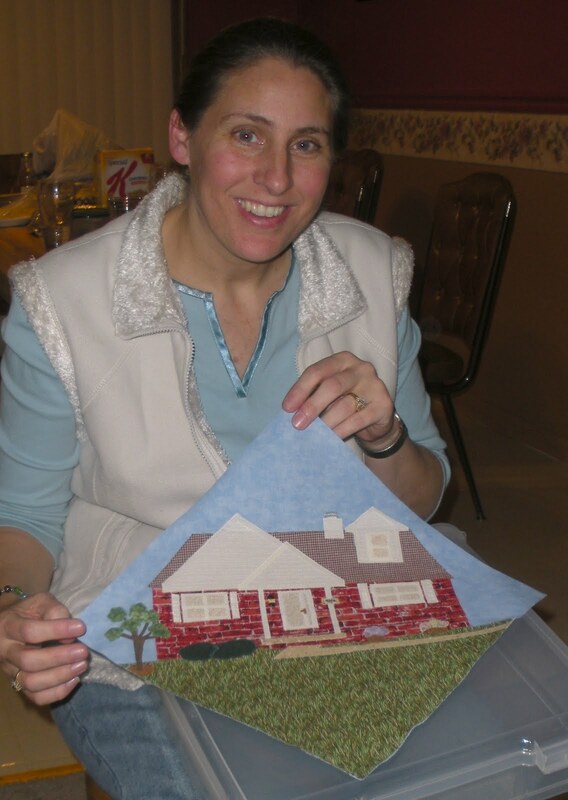 My husband couldn't understand how I could be a part of it, trusting other people to make a quilt for me. But that's the fun of it. You have no idea what you'll get back. What a cool idea for a round robin! Such a great momento to have from your group too. I especially love your birds! But it's nice to see all the other unique projects reflecting each person's style. I thought your little birdie was cute, but seeing the whole block — well, it's just stunning! I've never participated in a round robin before, but it sounds like fun! Your block is gorgeous and I love everything about it. The tree is a fabulous shape. Loved seeing all the starting blocks. Lovely projects, Doris. 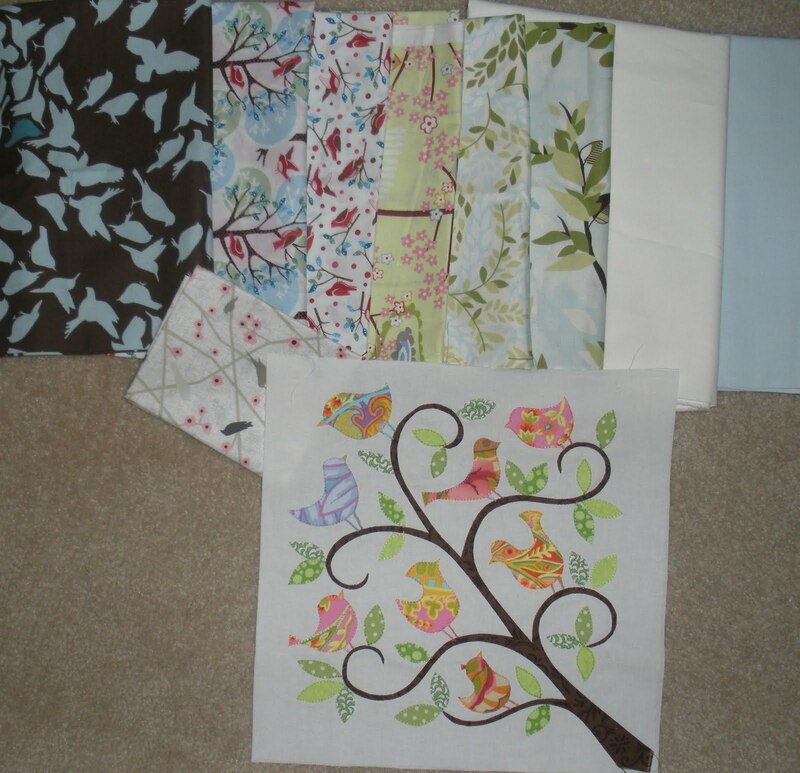 I specially like your birds – because the fabric and pattern are so cute and because I have a bit of a bird obsession.